ACE Guides is lice﻿﻿nsed ﻿﻿by the ﻿﻿CMMI Institute﻿﻿ to conduct any category of CMMI V1.3 SCAMPI appraisal (C, B, or A), at any level, worldwide for the CMMI for Development (CMMI-DEV), and the CMMI for Services (CMMI-SVC). ACE Guides also has a certified SCAMPI High-Maturity Lead Appraiser. ACE Guides is also licensed by the CMMI Institute to conduct CMMI V2.0 Evaluations and Benchmark appraisals for Development and Services. Preparing for an appraisal is just as important as conducting the appraisal itself. It is important that the appraisal team and the organization have a common understanding of both the CMMI model and the appraisal method. 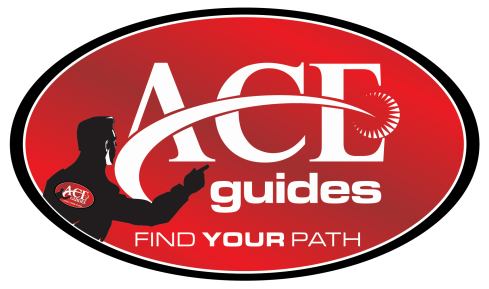 ACE Guides works with you to achieve that understanding. ACE Guides will meet with your organization to help you understand the steps that typically lead to an appraisal that successfully demonstrates a level of compliance that represents the desired rating. These steps usually include such activities as less formal appraisals (SCAMPI C's and B's, or Evaluations) and/or workshops to help your organization understand the required preparation (including development of a mapping between your data and the CMMI practices). ACE Guides has extensive experience in working with organizations to help them expand or sharpen their knowledge and understanding of the CMMI and the CMMI appraisal methods. We have worked with organizations across a broad range of types of work, sizes, business areas, and capability or maturity levels. ACE Guides provides support in specific areas, such as the development of mappings between your data and the practices of the CMMI, or in more general process improvement topics across a broad range of areas, including ISO. We also provide customized training in a wide range of process improvement areas. Contact us and we will work with you to explore your specific needs.